With two packs watching, one thing is certain. Their personal issues won’t stay personal for long. If Amy and Evan can’t find a way to work together, there won’t be a happily-ever-after for them...or any of the wolves of Whitehorse. I have been looking forward to this book ever since we met Evan in book one. I love the Takhini Alpha and I’m not sure what I expected from his book but I’m sure this wasn’t it. Did I like it? Yes, I truly did, but it took me a while for me to forgive Amy for the rather childish pranks that she played on Evan in the name of revenge. Did I understand her motivations? Again yes, but that didn’t mean that I thought she could go from his malicious prankster to mate without some serious work. Amy sets out to destroy Evan personally and it made her seem manipulative, and even a little sly ,so I wasn’t sure she was the heroine I wanted for Evan. Then I started to see the things that she did as an Alpha and, I had to admit, she was an incredible Alpha. The two packs in this were incredibly different and the one thing that made this a truly lovely story is that BOTH of the Alpha’s had to learn from each other to try to make a joining of the packs possible. 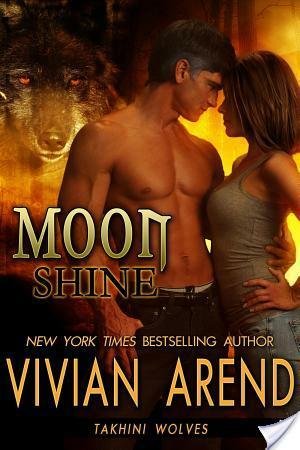 Alpha’s in PNR tend to believe that they alone know the best thing for their pack and these two were no exception. To be fair, they did know what is best for their own packs; Amy knew that her pack was full of broken souls and needed nurture and protection whilst Even knew that his pack was more boisterous and needed a firmer hand. Unfortunately, they both thought their way of handling pack would work with the other pack without realising that Alpha’s seem to be skill matched to lead a particular group of individuals. They needed each other if they were to join the packs, but there was a lot of emotional baggage stopping them from actually cementing the mating. It was touch and go whether they would actually be together as humans or whether they would each break their wolfie hearts by staying away. This is a different kind of books to the rest of the Takhini books; the set up is different, the emotional angst is much stronger and the issues didn’t really stem from themselves as people but as Alpha’s. Evan has to realise that he can still learn as an Alpha and also, as his mate is also an Alpha, he had to learn to allow Amy to fight her own way (which I was very impressed he tried to do). I have never read a book where the hero and heroine were Alpha’s of different packs and it was interesting to see how things played out. I think one of the main reason’s I was so affronted by Amy’s behaviour at the beginning was because it was very juvenile and she proved herself to be better than that over and over in the following chapters. A big mention to Sean in this book; he is one of my favourite characters in this series and he was awesome in this book again. I want Justin’s book like yesterday too …. BEARS!! This is not the place to start with this series but I do recommend that you pick up the Takhini pack books. This is not your typical Alpha wolf story. With respect and compromise being the main lessons that the lovely Evan had to learn, it really was full of angst and tension. Alpha’s aren’t known for accepting that they don’t know everything; can Evan do it for his mate?